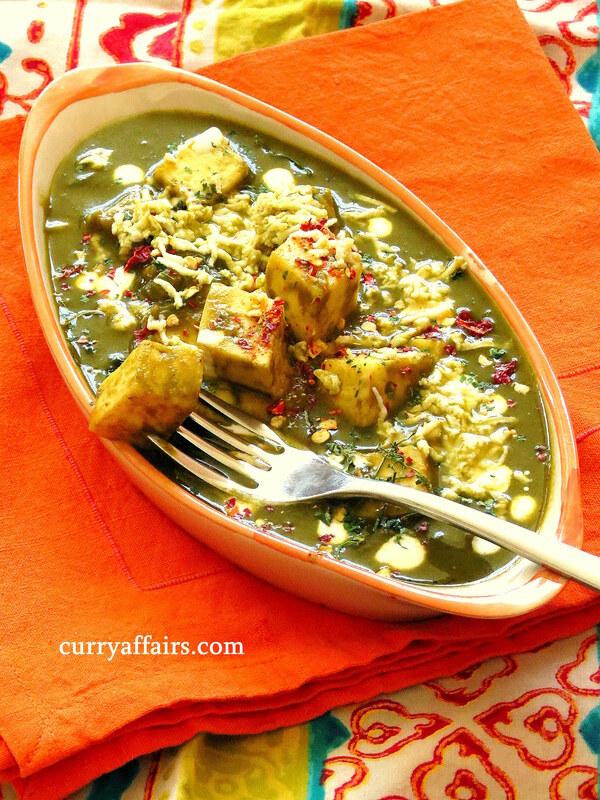 Palak Paneer is probably one of the most popular Indian recipes internationally. 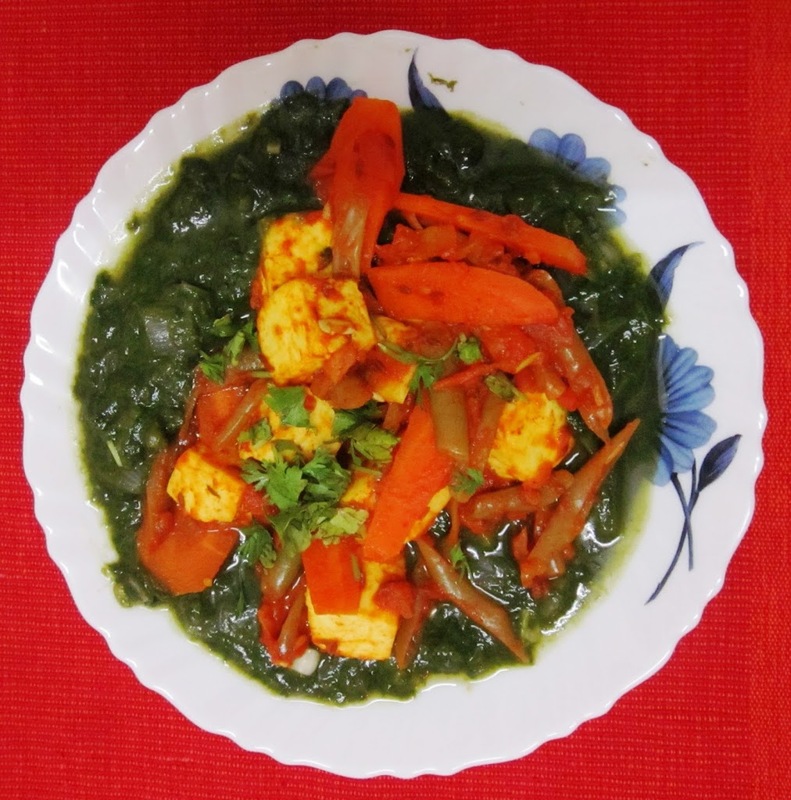 I cook this often as this is one of the tastiest recipe with spinach. 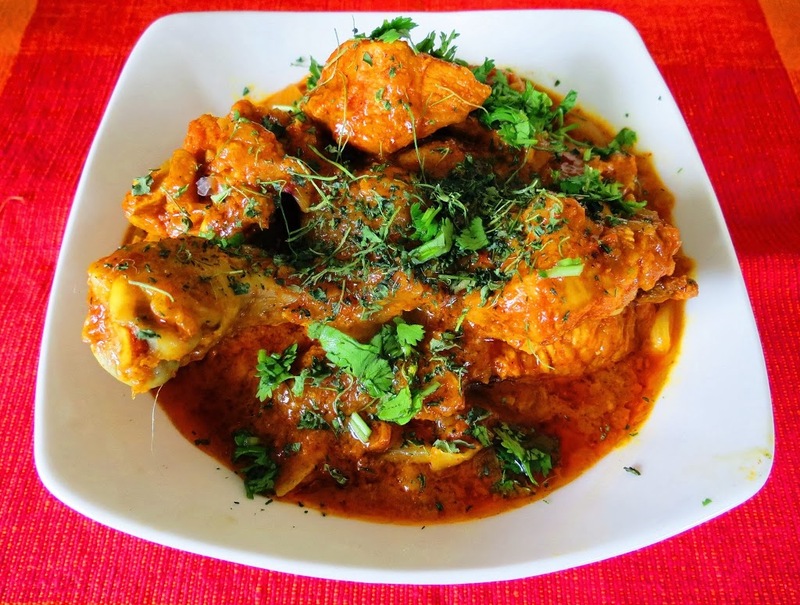 I have tried multiple variations of this dish but this is the recipe which I have now settled on and make regularly. Clean thoroughly and blanch the spinach in a boiling water for 2 to 3 minutes. Drain the water and refresh with cold water. Blend the spinach and 2 green chillies in a mixie to a smooth puree and keep aside.This should give you approximately 2 cups of spinach puree. In a deep bottom pan, add 1 tbsp oil. Add 1 tsp cumin seeds and 1 bay leaf and saute. Next add 1 tsp cumin powder and 1 tsp coriander powder. After 5 mins of sauteing add the spinach puree. Cook for a good 15 mins on a low flame without the lid on to retain the green colour of the spinach. Cook till the raw taste of spinach is gone. You will notice the oil separating from the spinach. 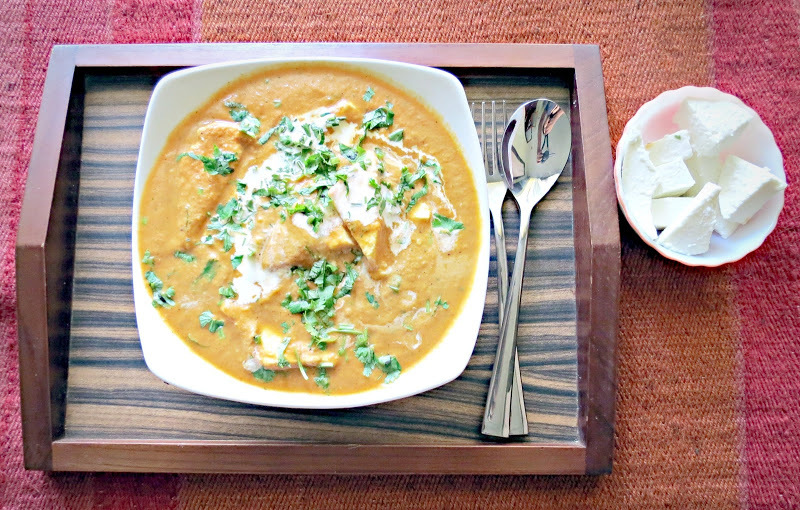 You can add some water to adjust the consistency of the dish. If you have a variation that you love, do leave a comment below.